After sending in his article about his Ghia-Aigle bodied 1951 Ferrari 212 (see below), Warren de France had something to add: "Well, a new URL find. COACHBUILD.com is a site I immediately bookmarked. A very impressive layout and array of interesting articles to read." Auto manufacturers seem today to fit into one of two groups. The mass produced or individually designed cars. 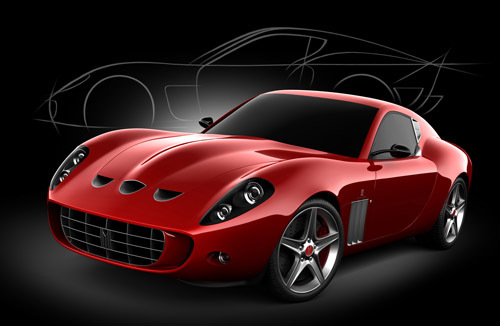 The kit-car design of the past has morphed itself into the fashionable designs we now see. The number of software programs available being a huge help to designers. Gone are the lumps of fiberglass panels or slab sided sport cars. Moreover recognized car manufacturers are going back to their beginnings when the article coming out of their factory was a rolling chassis. 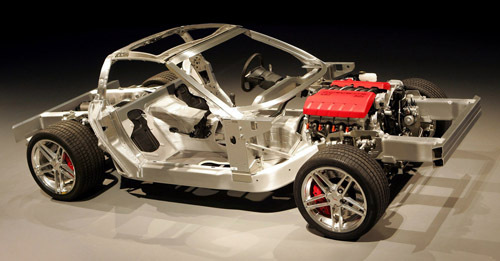 See for instance the aluminium tub or spaceframe chassis of cars like the Corvette Z06, Spyker C8, Lotus Elise and Evora, Audi R8 and more. The good thing is that a mass of startup companies will ensure that only the cream rises to the top. In a way the next automobile is a progression of the past. Some cars, more than others, have been the base for future designs. The Italians seem to have a monopoly in charismatic design, the Germans in practical design, the English in grand design, the French for different design, and for rubbish design, the “good old ***” . I would say also that there is one other design award for innovation. This in my opinion belongs to some smaller European countries. The Ferrari 250 GTO is an iconic design in itself, used as a base for further enhancement in design to grace the streets. Some of these efforts are a waste of time and others pure perfection. I am impressed by the design of the "Vandenbrink GTO" by Michiel van den Brink from Holland. From the drawings I have seen, the Vandenbrink GTO started off with a design that could be used for the finished article, and then has been polished with small refinements making it even better. This 599 GTB-based coachbuilt Ferrari is also exclusive with only single digit figures being made. Above all however these new coachbuilding companies need to survive. Does that mean selling as many cars as they can, which in effect is an oxymoron to their being there? Do they need to have a fresh design always on the planning board? The current economic crisis to some extent will define the rules. Large car companies may well integrate with these coachbuilders like they once used too. In the long run it can only be good news for the likes of you and me.